September | 2007 | . :: computer geek's diary ::. iTunes is a piece of software that lets you add to, organize and play your digital media collection on your computer, as well as sync it to a portable device. It’s a jukebox player along the lines of MusicMatch and Windows Media Player, and you can use it on a Mac or Windows machine. The most significant difference between iTunes and some other media players is the built-in iTunes Music Store (where you can get podcasts, music videos, movies, audiobooks and TV shows, too) and its multi-level integration with Apple’s iPod portable media player. With iTunes 7.4, sync your favorite music and more with the new iPod nano (third generation), iPod classic, and iPod touch, plus create custom ringtones exclusively for iPhone with many of your favorite songs purchased from the iTunes Store. You can now also play purchased videos with closed captioning (when available), easily rate your favorite albums from one to five stars, and watch videos at a larger size inside the iTunes window. iTunes 7.4.3 addresses issues with the initial setup of the iPod touch on some international versions of Windows. CCleaner (Crap Cleaner) is a freeware system optimization tool. CCleaner removes unused and temporary files from your system – allowing it to run faster, more efficiently and giving you more hard disk space. 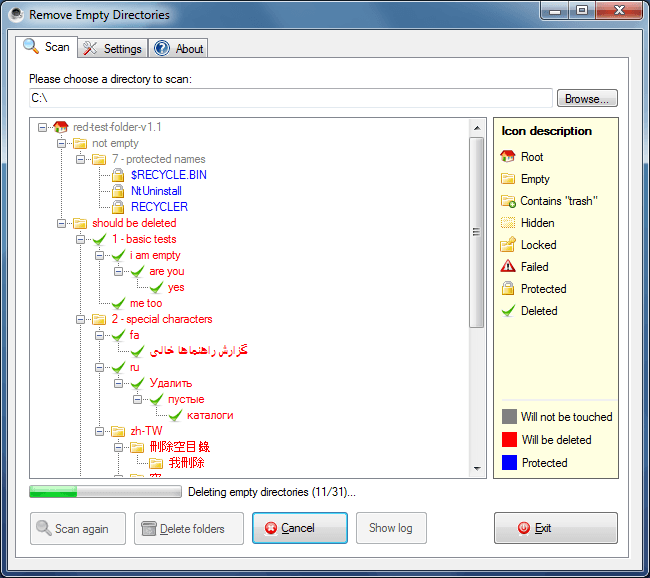 CCleaner also comes with a registry scanner that scans for invalid references (advanced users) . 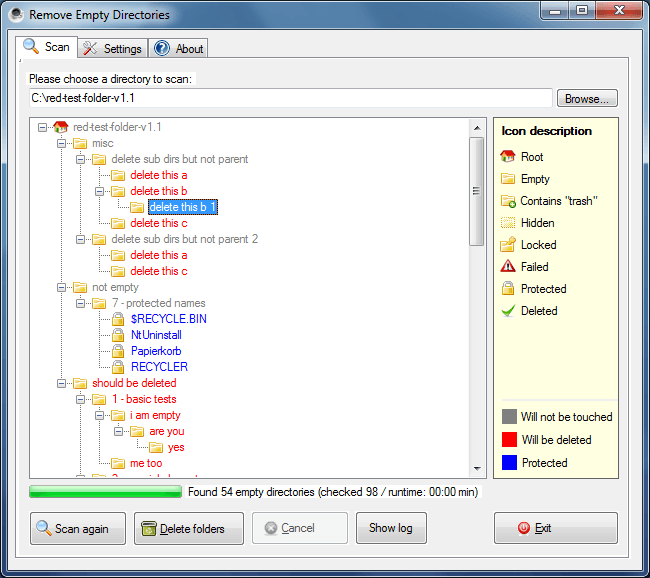 – Recycle Bin, Temporary files and Log files. – Recently opened URLs and files. – Third-party application temp files and recent file lists (MRUs). 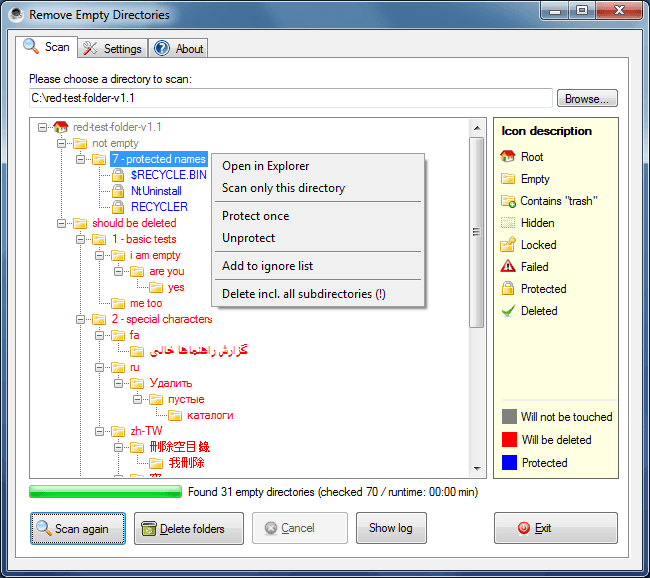 – Advanced Registry scanner and cleaner to remove unused and old entries. – Including File Extensions, ActiveX Controls, ClassIDs, ProgIDs, Uninstallers, Shared DLLs, Fonts, Help Files, Application Paths, Icons, Invalid Shortcuts and more… Backup for registry clean. – Fixed bug where some IE Temporary files were not being removed. – Fixed bug with IE7 Recently Typed URLs cleaning. – Fixed C++ exception on Desktop shortcut scanning. – Installer now works on 64-bit OS Recycle Bins menus. – Optimized IE Temp files cleaning speed. – Improved index.dat cleaning on XP. – Fixed Registry Cleaner as “Fix All” sometimes wouldn’t work. – Keyboard shortcuts now work correctly in Registry section. – Files winsys.ini and winreg.ini are now embedded in ccleaner.exe. – Fixed bug where Autoupdate check could cause an exception. – Fixed minor bug in restoring screen position and size. – Lots of internal improvements to reliability and speed. IEPlus is an add-on for Microsoft© Internet Explorer, which brings you more convenience for plain Internet Explorer(features like browse history management, super drag and drop, etc.) and thus to make your surfing fun and more comfortable, with only minimum resource requirement. IEPlus will enrich your browse experience with features like close tab when double clicked, super drag and drop, browse history management, multi-proxy management, mouse gesture, ads block based on URL and content, URL shortcuts, enhanced crash recovery, hotkey and a powerful plugin system ready to be extended. It works both for the newest IE7 and Vista, and also for the mainstream IE6 and Windows XP. Since IEPlus does not need to re-invent the wheel time and again and depends on Internet Explorer’s standard interfaces, it thus is more stable and better than most third party multi-tab browsers based on Internet Explorer core. IEPlus is fully compatible with Internet Explorer 5.5/6.0/7.0 (features relevant with Tabs are only available in Internet Explorer 7) and Windows 2000/XP/2003/Vista, and we recommend you to use it in Internet Explorer 6 or later. IEPlus is small, easy to use and consumes minimum resource. During your use of it, you will gradually feel how much convenience IEPlus can bring to you. Pidgin (formerly Gaim) is a multi-protocol instant messaging (IM) client for Linux, BSD, MacOS X, and Windows. It is compatible with AIM and ICQ (Oscar protocol), MSN Messenger, Yahoo!, IRC, Jabber, Gadu-Gadu, SILC, Novell GroupWise Messenger, Lotus Sametime, and Zephyr networks. Gaim users can log in to multiple accounts on multiple IM networks simultaneously. This means that you can be chatting with friends on AOL Instant Messenger, talking to a friend on Yahoo Messenger, and sitting in an IRC channel all at the same time. Pidgin supports many features of the various networks, such as file transfer, away messages, and typing notification. It also goes beyond that and provides many unique features. A few popular features are Buddy Pounces, which give the ability to notify you, send a message, play a sound, or run a program when a specific buddy goes away, signs online, or returns from idle; and plugins, consisting of text replacement, a buddy ticker, extended message notification, iconify on away, spell checking, tabbed conversations, and more. Pidgin runs on a number of platforms, including Windows, Linux, and Qtopia (Sharp Zaurus and iPaq). Connect your Sony Ericsson phone via cable, bluetooth or infrared and you’ll be surprised how easy and efficient you can manage your phone with this compact software. – Starts on Vista with Admin permissions where available. – Fixed bug in registry cleaner with extended characters. – Improved global exception handling and reporting. – Fixed missing translated strings. – Fixed minor bug in Antivir cleaning. How will your job be different five years from now? Indeed, will your job even exist in its present form in five years, or in 10 or even 20 years time? And over this time, what will happen to the company and industry you work for? How can you predict and prepare for this workplace of the future? What should you be doing now to avoid reaching a dead end in your career? This article gives you some strategies you can begin pursuing now. They will help you keep your skills current and your opportunities open. Pick and choose from among them to build your unique Future Proofing Kit. And remember, as your own circumstances change, your kit may need to adapt as well. Refer back to this list often and take inventory of what you should be doing either differently from, or in addition to, what you are doing now. Find an “Academy” company. If you’re early in your career, get a job at a company renowned in its industry for developing its people (traditional examples are GE, Toyota and Mars.) When you work for this kind of company, you are enrolled in a continuous development program that goes well beyond the technical skills you need for your current role. This forms a great foundation for a successful career. Get and remain tech-savvy. Much of the change we see has to do with new technology. We keep finding faster and leaner ways to do things. Force yourself to keep your technical skills current, even if new developments don’t seem directly related to your current job. Otherwise, you’ll get left behind and may have to catch up a huge amount before you can head off in a new direction in the future. If that means learning the newest online tools like blogging and web conferencing, do it. If you’re in a highly technical field of work, be proactive and stay current – even when your company does not. Develop a five year learning plan to acquire the knowledge and education you need. And yes, consider joining our Career Excellence Club to learn these skills. Your specific technical skills may get out of date. That’s why you see nurses with business skills and technology experts with financial experience. A broad range of competencies, skills and abilities can help you secure a new job or may even open the door to working in a new industry. To maximize your chances of success, use the tips found in the Personal Goal Setting article to help you set development goals effectively, and if you have our Personal Development Plan Workbook, make sure you use it to plan your skills development. Learning about working with diverse cultures. Asking for assignments that require international exposure. The more experience you get, the more confidence you will have when working in the global marketplace. This will make you much more attractive to employers in the future. Create and maintain a success journal. The time to start thinking about your accomplishments and skills is not when you are looking for a new job. You need to be proactive and take continuous inventory of what you do really well, the accolades you have been given and the noteworthy results you’ve been responsible for. Employers want to know what you will do for them. When you have a ready list of things you have done, it is much easier to recall your most relevant achievements and skills. Use this success journal to track your strengths and successes and also to affirm your wonderful qualities as well. All of us need to boost our confidence and self esteem from time to time. Having a list of objective strengths and accomplishments can do a lot to improve your motivation and belief in your abilities. Build and maintain a professional network. Make sure that you develop good relationships with people both within and outside your organization. These people will be invaluable as the landscape of work changes. They can bring you along with them as they weather changes, and can provide opportunities when your current position looks uncertain. When you add a mentor or two to your network, you have the added bonus of learning new skills, technologies and strategies that will help you move your career in the direction you want. Participate in a wide range of activities and build relationships beyond your current career or industry. Scan the environment. Be aware of changes and trends in the economy, your profession and the industry you are in. No one can accurately predict the future; however stay ahead of the crowd by keeping yourself informed, and choosing to work in industries – and for employers – that have long-term sustainability. Overall, avoid industries and companies that are on a downward slide. Being an expert in a dying field may provide a niche strategy into the medium term; however, you will eventually have to leave. It is better to prepare now. Keep a clear career path open. You may be fortunate enough to be in an organization where there’s a clear and attractive career path ahead of you. For many, this will not be the case. This may not be a problem if you’re in a fast growth industry – if you’re good at what you do, opportunities will most-likely appear with alarming regularity. However if you’re in a slow growth industry or are one in decline, then this is a problem: There may be no onward path, and development may be blocked, however hard you work. This will lead to frustration, boredom and, in the long term, failure to achieve your potential. This is where you need to review your options and take action to unblock your career, even if it means a job- or career-change. See our article on Career Planning to find out how to do this. Develop resilience. Because the future is uncertain, you will probably encounter setbacks no matter how much you prepare and plan. People who will be successful are those with the ability to bounce back and consider such setbacks as learning experiences. All of these techniques can be very useful as you begin to plan and prepare for your future. And they all have in common the elements of risk management and career planning. You need to become good at both to secure your future career. While your job description may not be relevant in the future, you can ensure the skills you bring to the table are. With some forethought and planning, you can take control of your future career today. The key is not so much in how skilled you are at predicting what will happen, it is in how attuned you are to the early indications of change. When you realize that change is constant and you are constantly planning so you stay ahead of the game, you will find yourself in a great position to recognize and capitalize on the opportunities that present themselves. The TweakGuides Tweaking Companion (TGTC) is the complete system optimization guide for Windows users. Designed for novice and advanced users alike, it is written in plain English to help you genuinely understand all aspects of Windows and your PC. The guide covers every major topic, from the correct installation of Windows and critical drivers and software, through to recommendations for every significant setting and feature, all the major performance and convenience tweaks and customizations, as well as detailed troubleshooting advice. There are also links to a range of reliable free applications for optimizing and maintaining your system, as well as to important resources for finding out even more about Windows and your PC. Usually, PC users love organizing their files into various folders. Sometimes we move our files from one folder to another, but we forget to delete the empty folder. In other cases, you install an application and then uninstall it, but it leaves behind some empty folders. Your system probably contains hundreds of dozens of folders, without a single byte of data in it. This is exactly where Remove Empty Directory (RED) comes into action. This free application does exactly what the name says. It scans your drives or directories for empty folders and removes it. By default, it scans hidden folders, but ignores system folders to prevent any harm to your PC. It is also possible to integrate RED into Windows Explorer. As a productivity junkie, I hate seeing too many empty folders, so I regularly delete unused files and empty folders. RED was still able to find 496 empty folders out of 15150 folders, which is quite a shocking number to me! Some applications may require temporary directories that are empty. It could be possible that some applications stop working if such a temporary folder gets deleted. Yahoo! Messenger is a popular instant messaging client and protocol provided by Yahoo!. Yahoo! Messenger is provided free of charge and can be downloaded and used with a generic “Yahoo! ID” which also allows access to other Yahoo! services, such as Yahoo! Mail, where users can be automatically notified when they receive new email. Yahoo! offers PC to PC telephone, file transfers, webcam hosting, text messaging service, and chat rooms in various categories. In addition to instant messaging features similar to those offered by ICQ, it also offers (on Microsoft Windows) many unique features such as: IMVironments (customizing the look of Instant Message windows), address-book integration and Custom Status Messages. It was also the first major IM client to feature BUZZing and music-status. Another recently added feature is customized avatars. * Yahoo! Voice – Yahoo! Voice is a Voice over IP PC-PC, PC-Phone and Phone-to-PC service provided by Yahoo! via its Yahoo! Messenger instant messaging application. * Voicemail and file sharing – Yahoo! added voicemail and file sending capabilities to their client. File-sharing of sizes up to 1GB was added. * Plug-ins -As of 8.0, Yahoo! Messenger has added the ability for users to create plug-ins (via the use of the freely available Yahoo! Messenger Plug-in SDK), which are then hosted and showcased on the Yahoo! Plug-in gallery. * Interoperability with Windows Live Messenger-Thisallows,for Yahoo! and Windows Live Messenger users to chat to eachotherwithout the need to create an account on the other service,providedboth contacts use the latest versions of the clients. For now,it’simpossible to talk using the voice service among both messengers.